The talented craftsmen at DCI will work with you to create a home that’s beautiful, functional and affordable. From complete home design and build to home renovations and additions, DuBois Construction tackles every task with an eye for excellence. This kitchen was given a complete face lift. 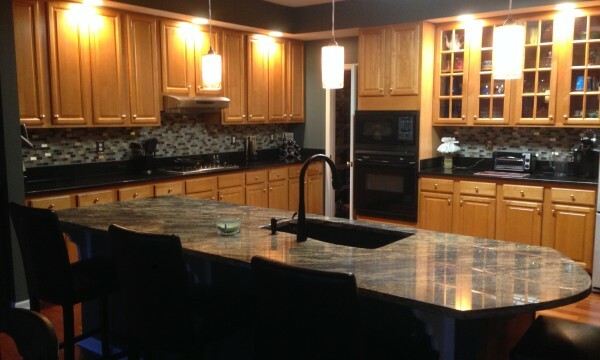 The DuBois home remodeling team installed new appliances, marble countertops, a sink with new plumbing fixtures, new pendant lights, and a new back splash. 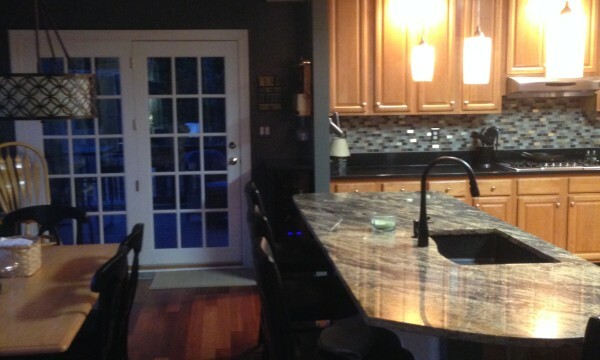 The center island counter wall was reworked to create a single level counter top, and an outdated ceramic floor was replaced with beautiful hardwood flooring. 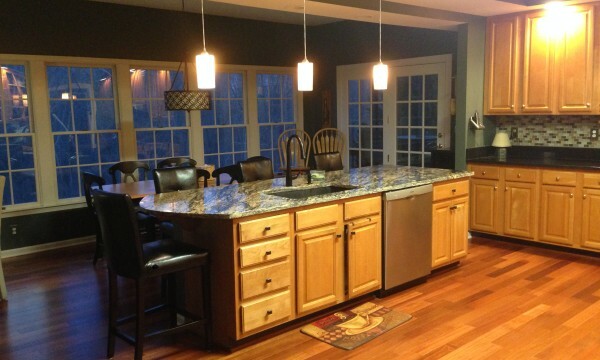 Our kitchen designers can create your dream kitchen too. Call to schedule a personal consultation. "We could not be happier with DuBois Construction, who built an addition to our home. They moved our laundry room upstairs, and added closet space and a dressing room. It was the best thing we have ever done to our home. The DuBois Team was easy to work with, provided guidance when needed, and handled problems smoothly and professionally. I would definitely use DuBois Construction again for my next home improvement project. They are a team we trust".